It’s your Jeep for the day, make it your way! No crowds, no lines, no stress. All Jeeps now come with complementary picnic lunches for each passenger conveniently prepared in a cooler with ice packs and condiments. Lunch includes choice of Turkey Wrap, Veggie Wrap or Peanut Butter and Jelly sandwich served with a cookie, bag of chips, and a 20oz bottle of water. New iPad-powered interactive tour guide providing audio commentary for each point of interest. The Convenience of a Rental, the Informative Fun of a Tour! 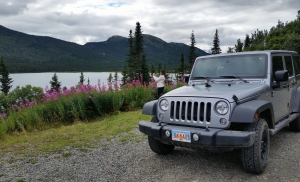 Better than just another Skagway rental car, DIY Jeep Tours offers you all the freedom of a rental with the convenience of a tour! All of our Jeeps are now equipped with iPad-powered interactive tour guides. We also have a mile-by-mile guide that features all of the historic and scenic stops! Located in southeast Alaska, Skagway offers the perfect vacation with world famous historic sites; spectacular scenery, and unique charm. 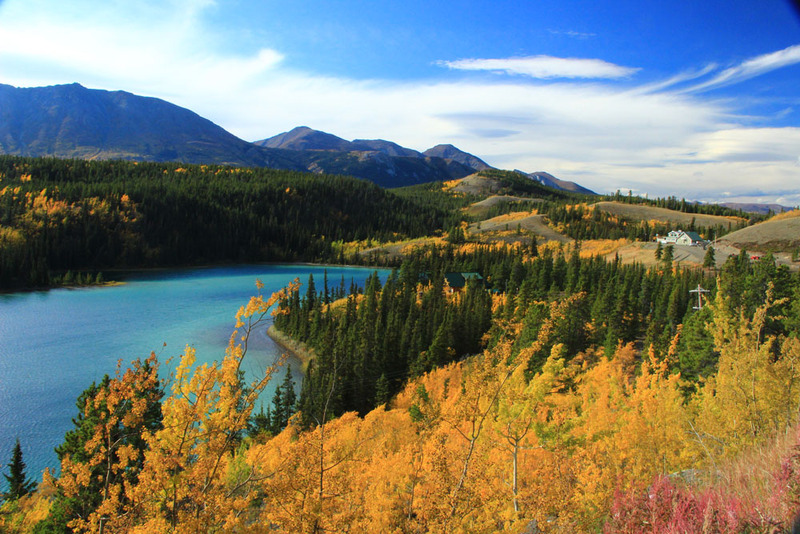 We are the ‘Gateway to the Klondike’ and the Yukon Territory, home to some of the most spectacular scenery and wildlife you’ll find anywhere! 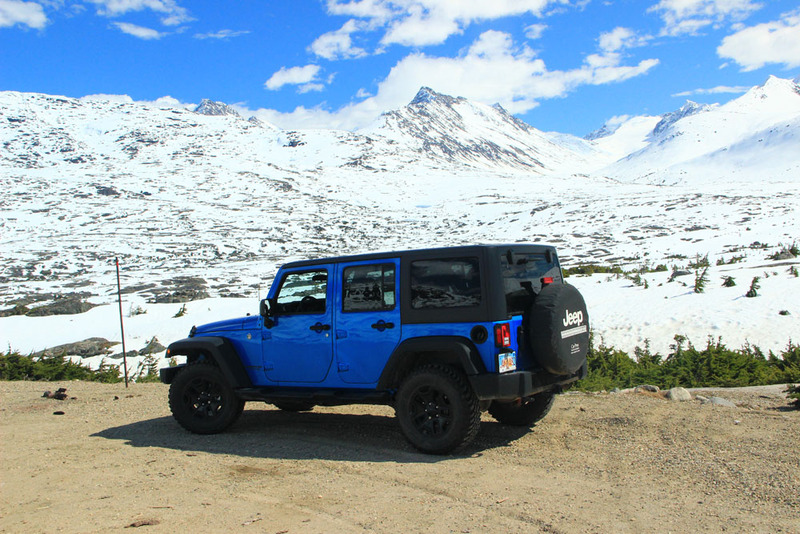 This Self Guided Jeep Tour offers the only tour of its kind in Skagway! You have your own personal Jeep for the entire day… it’s part rental car, part tour, and the best of both! No more being pushed to leave when you want more photos, or having to wait when you’re ready to roll on. Stop and go at your leisure, visit the sights that interest you and skip those that don’t. You control the interior temperature, speaker volume, length of stops… even the amount of tour narration you receive! 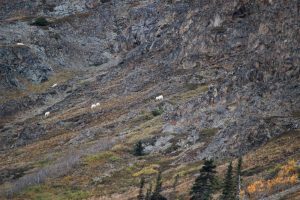 We’ll provide you with all the information you’ll need for a memorable day in both Skagway and the Yukon. Because we are locally owned and operated, we are dedicated to helping you have a wonderful vacation with unforgettable memories: just compare our customer service and see the difference! The Jeep tour includes the exact same sights as the other tours, like the Yukon Discovery Tour, with dog mushing being an optional add-on, but you go at your own pace in your own vehicle. Please see the other tours for more pictures of the sights that you can experience. Tormented Valley – a tundra landscape filled with lakes that looks like its from another world! Boreal Forest, unique ecosystem that is perfect for moose! Entering the Yukon Territory and driving an additional 30 miles deeper into the wilderness then any other tour. Carcross Desert, the worlds smallest desert! The Sahara of the Yukon! Walk on the beach in the middle of the Yukon on the shores of Lake Bennett. See and hold the puppies that one day could be running in the Iditarod! Make sure to bring your cameras for all the photos stops you will be making! Take family or group pictures at any or all of the stops. Preserve your memories and include the whole group! Weather can change quickly and drastically in Alaska. Please bring extra layers in case the temperature drops or the weather changes during your tour. You are welcome to bring drinks or snacks in the Jeep. Make sure all members of your group have a valid Passport that allows entrance to Canada and back into the United States. Skagway sits only 15 miles from the Canadian border so all tours do leave the United States and reenter through US Customs. 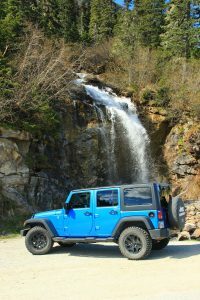 DIY Jeep Tours offers the only tour of its kind in Skagway! Better than a Skagway Car Rental, you have your own personal Jeep for the entire day… it’s part rental car, part tour, and the best of both! No more being pushed to leave when you want more photos, or having to wait when you’re ready to roll on. Stop and go at your leisure, visit the sights that interest you and skip those that don’t. You control the interior temperature, speaker volume, length of stops… even the amount of tour narration you receive! 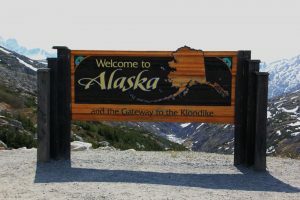 We’ll provide you with all the information you’ll need for a memorable day in both Skagway and the Yukon. 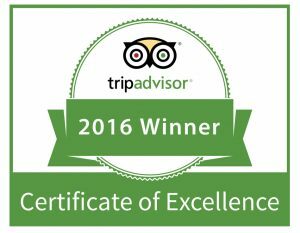 Because we are locally owned and operated, we are dedicated to helping you have a wonderful vacation with unforgettable memories: just compare our customer service and see the difference! All Jeeps now come with complimentary picnic lunches for each passenger. Jeep rental includes, maps, mile-by-mile guide as well as iPad interactive tour guide. Be sure to bring your camera and binoculars for animal spotting throughout! Be aware that getting in and out of the Jeep Wrangler can be difficult for some guests, it is considered a large SUV and is higher off the ground then smaller vehicles. Step stool available, please include in booking notes. Jeep Wrangler seats 5 people, 4 adults comfortably with middle seat. Trunk area for backpacks and gear included. Driver must provide copy of US or Canadian auto insurance that includes coverage of rented vehicles. Bring cold weather gear for varied temperatures and climates. We saw numerous Bears, this one was the most friendly – came close to our car and didn’t mind us one bit. Those who chose the ***** were severely disappointed, wished they had looked into the Green Jeeps. The jeep rental was the highlight of our trip. 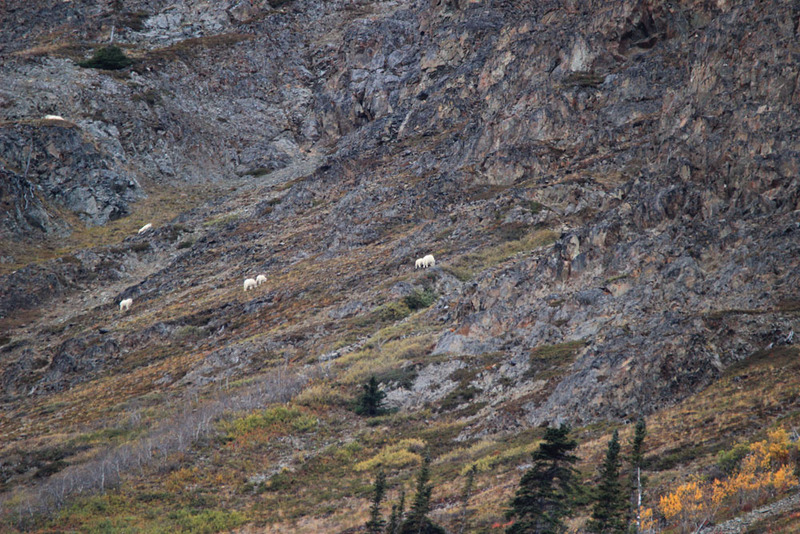 We missed the bear sighting last week, but what fun to explore Alaska, Canada and the Yukon in one day. We really enjoyed Skagway and wanted more time to explore the town…maybe next time. Thanks for the extra touches like the snacks and drop off at the dock. We were able to maximize our time before returning to the Disney Wonder. What an experience! I want you to know that your company is “BY-FAR” the best. Your CD of the “invisible tour guide” was AWESOME!. We learned so much from you guys. By the way, we saw black bear, and grizzly bear, and eagles also. So much more than we ever expected. I wanted to drop a quick line now that we are home from your beautiful state and thank you from the bottom of our hearts for all the work you put into ensuring our experience was memorable one. You went above and beyound given the circumstances you were all experiencing. THANK YOU~THANK YOU! I will be recommending you all to our friends and family.